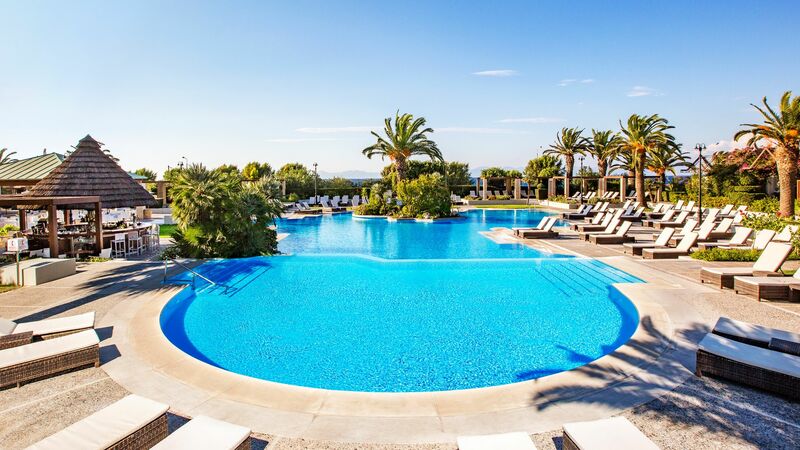 One of the most popular and sunniest Greek islands, holidays in Rhodes allow you to explore sugar-cube villages, inspiring history and stunning architecture, alongside lively nightlife, designer shopping and an array of pebble and sandy beaches. It’s the ideal holiday destination for families and couples, and there are plenty of water sports and recreational activities for those with a sense of adventure. 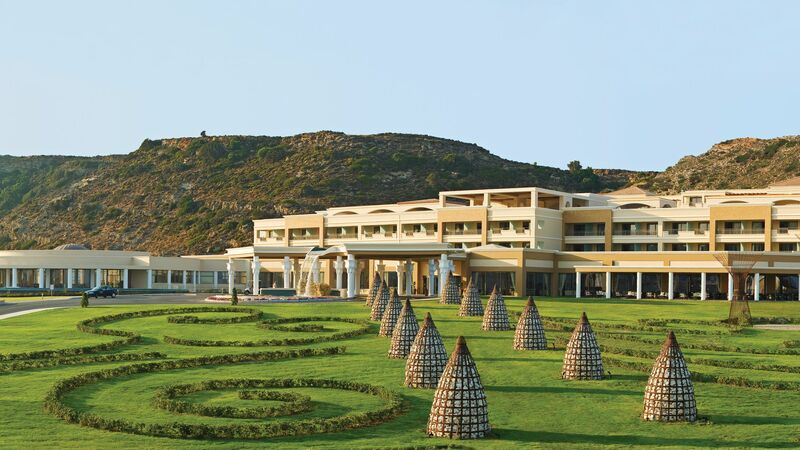 Kalithea offer peaceful hideaway coves perfect for escaping the tourist trail, while Ixia is closest to Rhodes Town and filled with cultural highlights. Rhodes Town is home to plenty of tavernas and alfresco restaurants serving Souvlaki and fresh seafood, alongside boutiques and bars. The town offers both sandy and pebble beaches which are ideal for swimming, snorkelling and paddling. Rhodes provides an element of luxury displayed in its cultural delights and rich inspiring history. Ancient ruins date back to Trojan times, Ottoman minarets remember Turkish rule and terracotta churches recall the Byzantine era. Lindos has its own acropolis perched on a hillside with panoramic views of the island, alongside towers and temple remains, while inland is a wealth of beautiful pine forests and olive groves just waiting to be explored. The island’s capital, Rhodes Town is an authentic walled city holding legends of knights over two centuries, and the harbour area was once home to one of the Seven Wonders of the World, the Colossus. Traditional villages and mountain hamlets dominate the centre of the island, and Apolakkia is not to be missed. Here you will be greeted by a monastery, whitewashed villas, ancient windmills and a lake ideal for a refreshing swim. If you fancy a day trip, the neighbouring island of Symi is easily accessible via boat from Rhodes Town and home to a pretty port and harbour area. Liaise with our Sovereign team of experts today and allow us to create a holiday package to suit your needs. The old quarter of Rhodes Town is a jumble of architectural styles, from medieval and Venetian to Ottoman and Byzantine. Highlights include the lavish Palace of the Grand Master of the Knights of Rhodes, the Temple of Aphrodite (which dates back to the 3rd century BC) and the Archaeology Museum, which is set inside the 15th-century knights' hospital. Make sure to pass by the Suleymaniye Mosque, too – its pale-stone minaret pierces the skyline. Peckish after all that walking? The streets of the old town are piled high with tavernas and cafés. Symi is about an hour’s ferry ride north of Rhodes Town. Your first glimpse of the island is the pretty little port that clutches a hill-hugged harbour. You can tell it was built by wealthy merchants – the houses are less your typical Greek fishermen’s cottages and more Neoclassical townhouses painted in apricots, oranges and terracottas. Bag a sunlounger at Nos Beach or catch a boat along the coast, where you can lay down your towel by the waterside bar in Agia Marina or the family-friendly waters of Agios Nikolaos. The south-east town of Lindos is overlooked by Lindos Acropolis – a classical monument that’s part of a hilltop scattering of ancient ruins. The climb up from town is steep, but there are donkeys on hand if you don’t fancy the walk. Up top, you’ll find crumbling Doric columns, a church decorated with frescoes, and temples dating back to the 4th century BC. There isn’t much of the theatre left, but the expansive remains hint that it once seated almost 2,000 people. 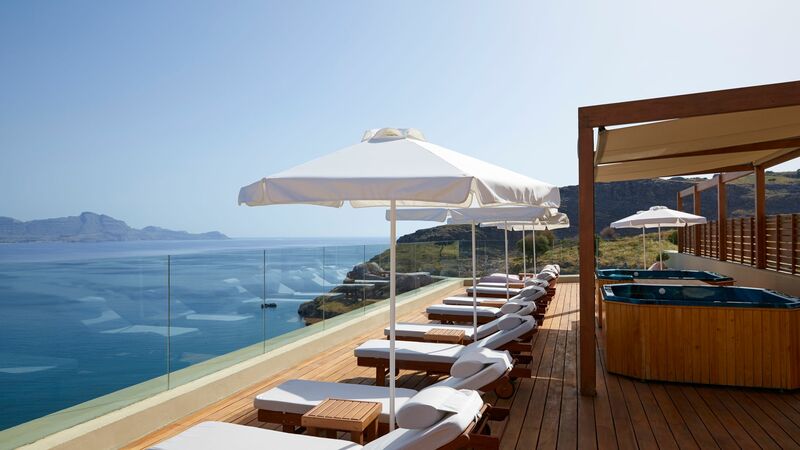 The acropolis also offers up great views of Lindos and the Mediterranean Sea. Petaloudes – better known as the Valley of the Butterflies – is at its best in late May. Hundreds of striped tiger moths are drawn to the gorge, settling around the sweetgum forests, bridge-striped river and waterfalls. There's a Museum of Natural History here, too, dedicated to the valley's flora and fauna. A bonus hatchery gives you a rundown on the butterflies’ life cycles. It’s well worth checking out the Monastery of Kalopetra while you’re up here – it’s just along the road. The square in front of the little church looks out over the forested valley. 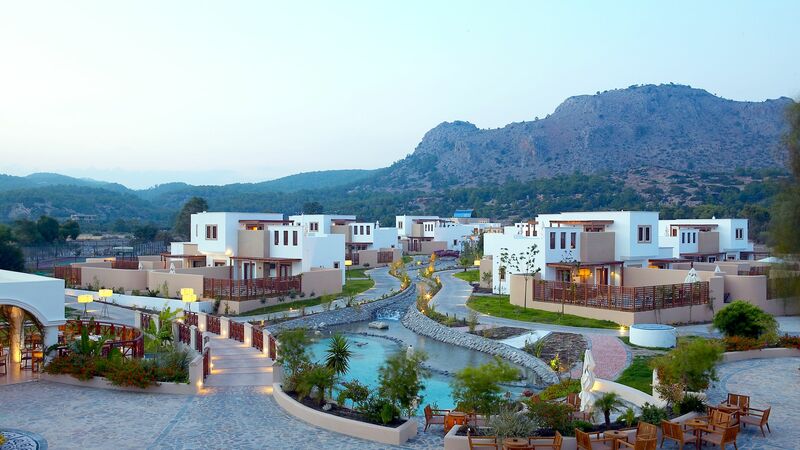 Ixia is the closest resort to the island capital, Rhodes Town. The long beach features both lounger-lined stretches and wilder pine-backed patches – and it all comes with city views. 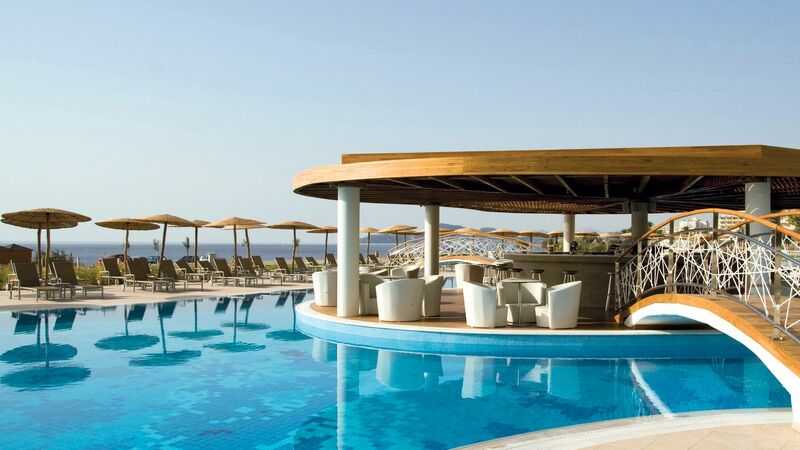 Kalithea settles south-east of Rhodes Town, where the beach is long, the hotels are luxurious, and the sea views are expansive. Beachfront spa hotels are the theme here. Lindos has courted royalty since Classical times – you can see its hilltop heap of acropolises, palaces and theatres for miles around. Lindos Beach and St. Paul’s Bay bookend the town. Rhodes is a favourite with holidaymakers from around the world, with its centuries of history, beautiful beaches and famous hospitality. Whether you like to lie on soft sandy beaches, watching the kids build sandcastles and teaching them to swim in the gentle waters of the sea you are sure to make incredible memories here. Rhodes enjoys the most sunshine of any other Greek island – 300 days a year, in fact. Temperate springs and long, dry summers give you plenty of time to visit. The earlier months of the season suit sightseeing, while the mid-summer months of July and August push 30°C – perfect for keen beach-goers. Even in the height of summer, the island’s cool winds take care of any humidity. In the ancient harbour of Rhodes is a beautiful Greek Orthodox church. Step inside the cool interior to see the most impressive and colourful Greek frescoes. When staying in Rhodes, be sure to visit Rhodes Old Town. The UNESCO World Heritage Site is the largest of its kind in Greece, with kilometres of walls enveloping the maze of narrow medieval alleyways. Rhodes loves its fresh, local produce. Any Rhodian restaurant or taverna worth its salt will have a menu that varies seasonally, making the most of the island’s fresh vegetables, cheese, olive oil and fish. Traditional dining in Rhodes will either be long, leisurely meals finished with some kind of delicious, honey-soaked pastry, or a few rounds of mezes washed down with ouzo. Are there any day trips from Rhodes? There a few nearby islands that make a great day trip from Rhodes. Symi island, Kastellorizo and Halki are all close enough to visit in a day, with journey times varying from 35 minutes up to 3 hours.